Many were in favour of Pant but the selectors went for experience and picked Karthik. The much-awaited India’s World Cup squad has been finally announced. The chief selector MSK Prasad and the BCCI secretary Amitabh Chowdhury addressed the reporters on Monday to reveal the 15-man squad for the quadrennial event. There was a huge surprise for everyone as Ambati Rayudu was dropped from the team. He was the designated number four for India for last 12 months but was inconsistent in the last few matches. However, another surprise was the selectors preferring Dinesh Karthik as the back-up wicket-keeper for MS Dhoni in the mega event. Many were in favour of having Rishabh Pant in the line-up but MSK Prasad cleared that Karthik is experienced and that is the reason they went with him. As for Pant, he praised the left-hander which is a clear indication that he will get more chances in the near future. 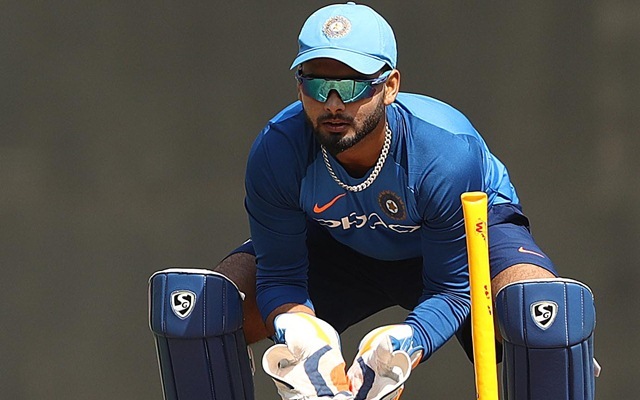 Rishabh Pant not performing in the limited chances has gone against him as far as making it to World Cup squad is concerned. Dinesh Karthik has made it to the squad on the back of some exciting performances ever since making a comeback to the side for the Nidahas Trophy. He was the match-winner for India in the final of the tournament and since then, he was consistently a part of the team. While he didn’t lit up the stage with his show, the Tamil Nadu proved his mettle whenever he was tested which is important in the crunch situations during World Cup. However, Rishabh Pant must have felt hard done by after all the hype was created around him recently. He had also said that it was a dream for him to get picked in the World Cup but the youngster will have to wait for four more years now. Twitterati also felt bad for the 21-year-old as they were quite confident that Pant will make it to the squad. While,#BCCI made a blunder in retaining KL Rahul, DK & Ravindra Jadeja…Should have gone for Rayadu/P Shaw/Rishabh Pant or a pacer!! How many chances will #DineshKarthik get? The selectors should have given #RishabhPant a chance. Where is Rishabh Pant.He is real game changer.